Dutch brewer Heineken has announced its ‘Every Drop’ initiative dedicated to water protection. The company’s targets for include 2030 maximising water circularity using recovery, reuse and recycling and treating 100% of its wastewater worldwide. The brewer currently treats 96.5% of its wastewater worldwide bringing it back clean to the environment. The company also wants to reduce water usage to an average of 2.8hl of water per hectolitre (hl) of beer from its current water usage of 3.2hl in water-stressed areas. Over the last 10 years, Heineken has cut its water usage by almost a third from 5 hl of water per hectolitre of beer, already beating its original 2020 target. 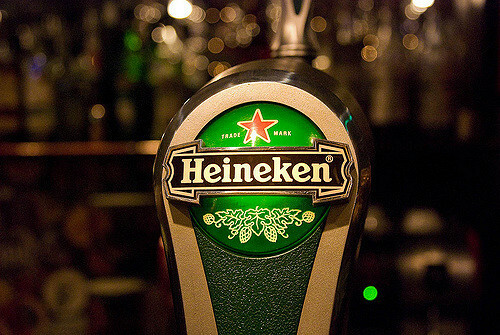 Heineken is setting individual targets for breweries located in water-stressed areas. Of its 170 breweries around the world, 26 are in water-stressed areas. By developing a ‘water triangle’ with three focus areas for each of the breweries, Heineken aims to impact the health of the watershed and the communities around it. Heineken has already started water-balancing programmes in water-stressed areas across the world, including Spain where one billion litres of water is being restored each year. The company is also part of a water alliance where government, businesses NGOs and local community groups work on water conservation and pollution reduction.